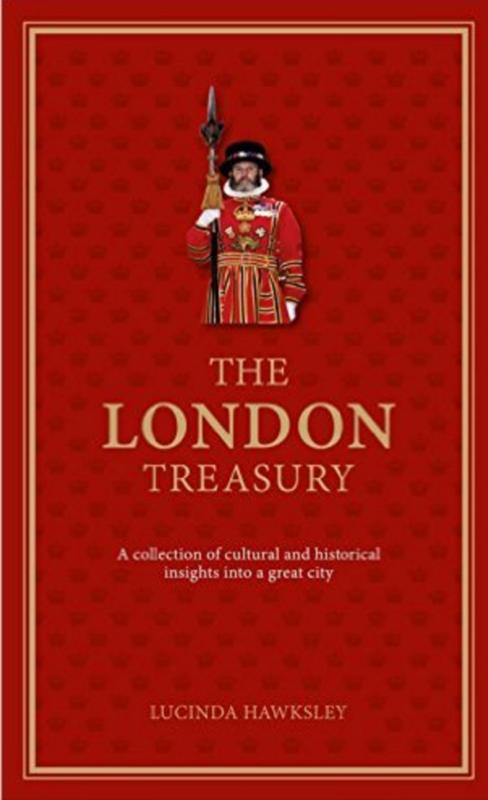 The London Treasury by Lucinda Hawksley is a collection of cultural and historical facts and insights into a great city. 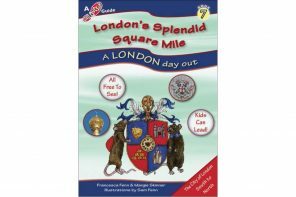 The book is crammed with intriguing and diverse facts and stories covering the 2,000 year history of the capital looking at the major events and the minutiae of everyday life. It’s not a ‘read from cover to cover’ book but a fascinating book to dip into and remember tidbits to impress your friends, or to help you win the pub quiz. Published in 2016, The London Treasury by Lucinda Hawksley is hardback and has 160 pages. 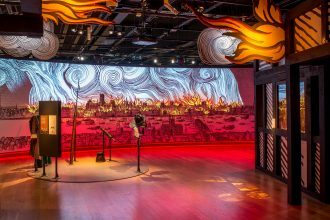 Lucinda Hawksley is the great-great-great granddaughter of Charles Dickens and a patron of the Charles Dickens Museum in London. She is a writer and lecturer on art history and nineteenth-century history. She has written more than twenty books including biographies of the pre-Raphaelite muse Lizzie Sidal, Charles Dickens, and most recently Queen Victoria’s infamous daughter, Princess Louise. The chapters are themes such as Crime or Entertainment with bullet points and lists featuring regularly. The book includes lots of facts but sometimes it could easily have been even more so I wonder how these details were chosen. There are lots of firsts, oldests and largest facts and information of particular interest in boxes. I enjoyed reading about London’s most famous gin palaces but trying to name the oldest pub in London is always controversial. There’s a nice basic history of Fortnum & Mason but it could have included that they invented the Scotch egg and the spork (spoon-fork). Or that every Everest expedition has been supplied by them. 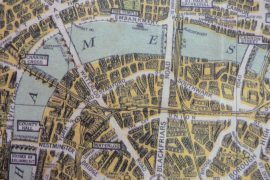 It was interesting to read about the Mare Street stables in Hackney for the 50,000 horses that were used on the London public transport system. And that the ‘Hackney carriages’ (taxis) were not named after the London borough but from the French name for a type of horse: hacquenee. I did discover that Carnaby Street was the second most popular attraction in the 1960s (the first was Buckingham Palace – and this in the days before The State Rooms were open to the public). And that the first Notting Hill Carnival was held inside (in 1959 in St Pancras Town Hall). The details are great fun as did you know the foundation stone for the Royal Albert Hall is under seat 87 in row 11 in the K stalls of the auditorium? No, neither did I. And, apparently, part of the original temporary structure that housed the South Kensington Museum (the forerunner of the V&A) that was made of corrugated iron and nicknamed the ‘Brompton Boilers‘ can be seen at the V&A Museum of Childhood in Bethnal Green as they were incorporated into the museum. I thought it was great to read that when Charles Dickens lived at 48 Doughty Street (where the Charles Dickens Museum is now) he walked past the Foundling Hospital every day (the site of the Foundling Museum) and was inspired to write Oliver Twist. The author is well placed to shared Dickens details, of course. I read that every year on 9 June there’s a wreath laying ceremony at Charles Dickens’s grave in Poet’s Corner in Westminster Abbey. Sometimes it seems like an odd collection of facts with some more obvious points missed off. Such as explaining that The Serpentine lake in Hyde Park was created by Queen Caroline. But missed the opportunity to say it was from one of London’s lost rivers (the Westbourne). But I did like the note that there was a dress code for Kensington Gardens when it opened to the public. The book includes a list of memorials but there are just so many in London this hardly scratches the surface so I think of this more as a handpicked collection but not comprehensive. 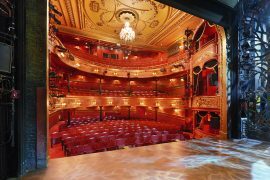 The same with the list of just a selection of the thousands of authors and books in which London plays a prominent role. I spotted a few updates for future editions such as the permanent closure of the Cuming Museum and the London Fire Brigade Museum. And Waterloo Bridge mixed with Westminster Bridge in a list of famous London bridges. But most of the information is trustworthy with so many great snippets. Did you know The Thames takes its name from the Celtic word tamesas, which means “dark”? It’s these gems, and many more, that make this book a pleasure to read. And while I’ve often read about the one-legged man who rode the tube escalator to show other passengers how safe it was I didn’t know he had a walking stick made from an ancient oak tree discovered more than 15 m (50ft) below the city during excavation of Earls Court station. What’s Big Ben but a wristwatch that saw his chance and made good? And the next time I’m in Russell Square I want to look at the pavement outside the Hotel Russell as I read there’s still a sign set into the pavement directing you to the now non-existent Turkish-bath spa. While I wished at times this treasury was more comprehensive what it does include is a fun and fascinating collection of London facts with something new for everyone.